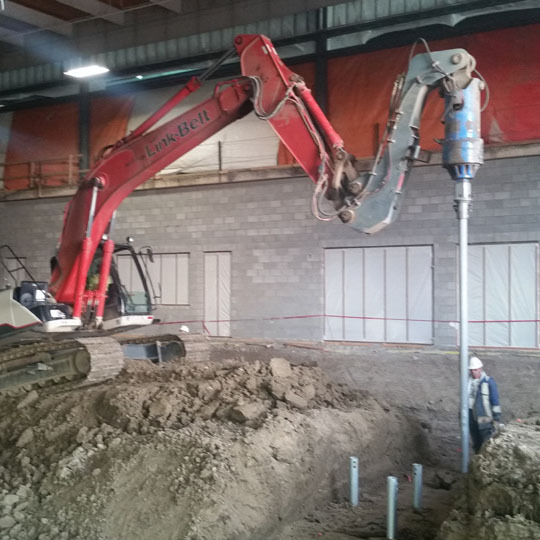 Inland Screw Piling Applications | Inland Screw Piling Ltd.
With Inland Commercial, each project and its challenges are evaluated by a team of professionals with over 40-years of experience in commercial foundations. 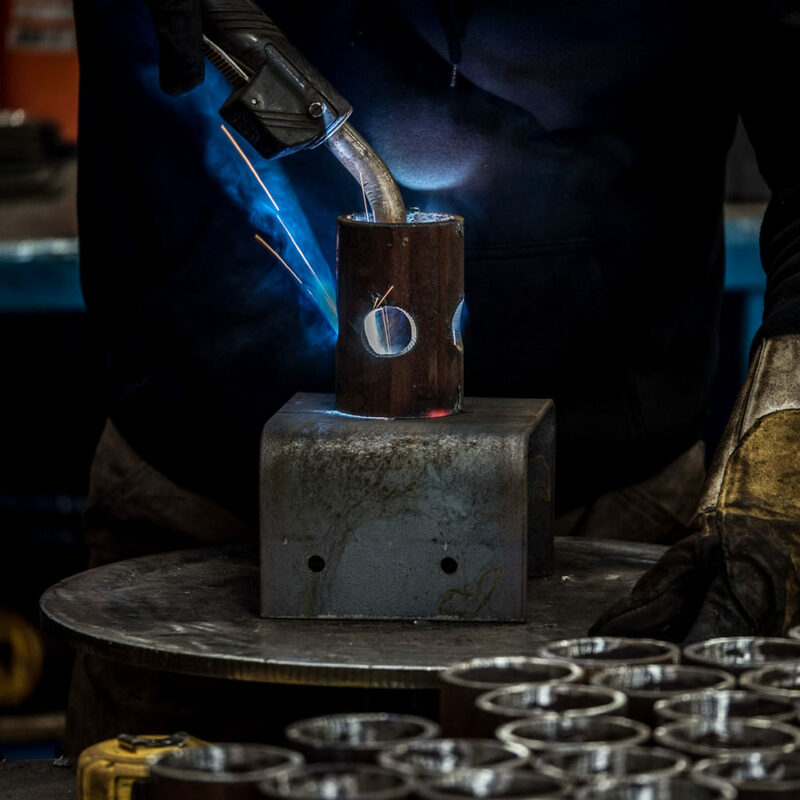 All aspects of your project will be managed by professionals who are able to bring their expertise in helical piling to real-world situations when it matters most, the very beginning. 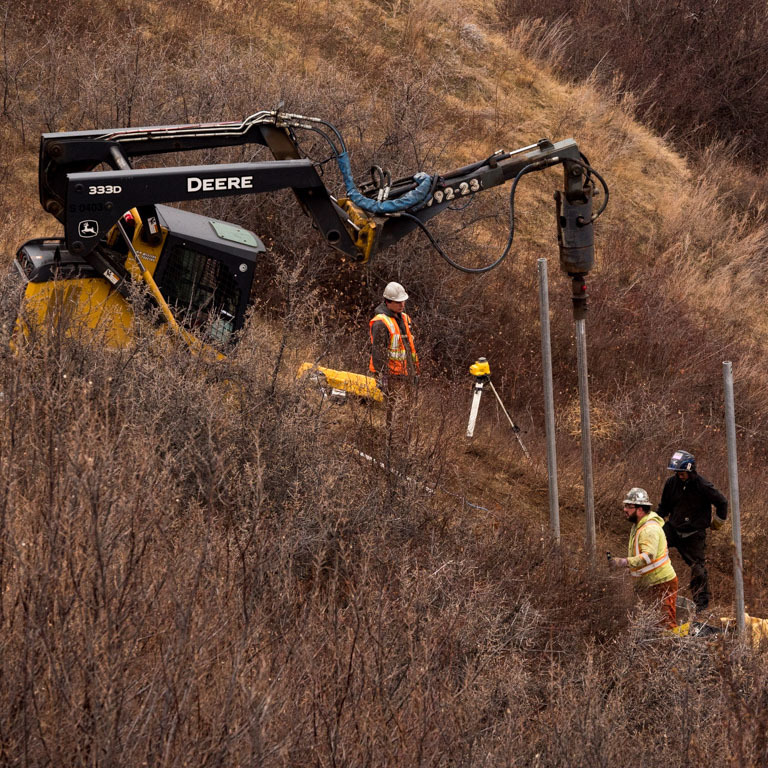 Whether it is specific fabrication requirements and timelines, engineering support and problem-solving or project installation procedures that need to be addressed Inland Screw piling has the teamwork you need to get your project started right. 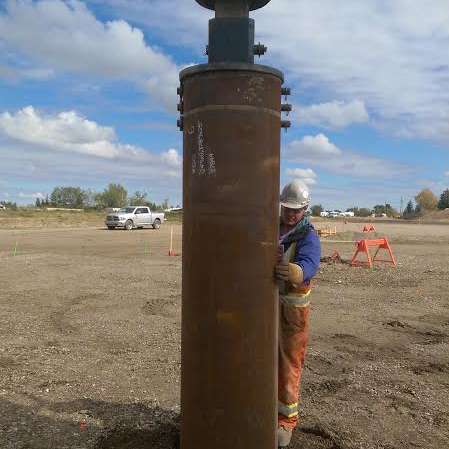 Industrial piling often presents challenging access for new foundation locations. 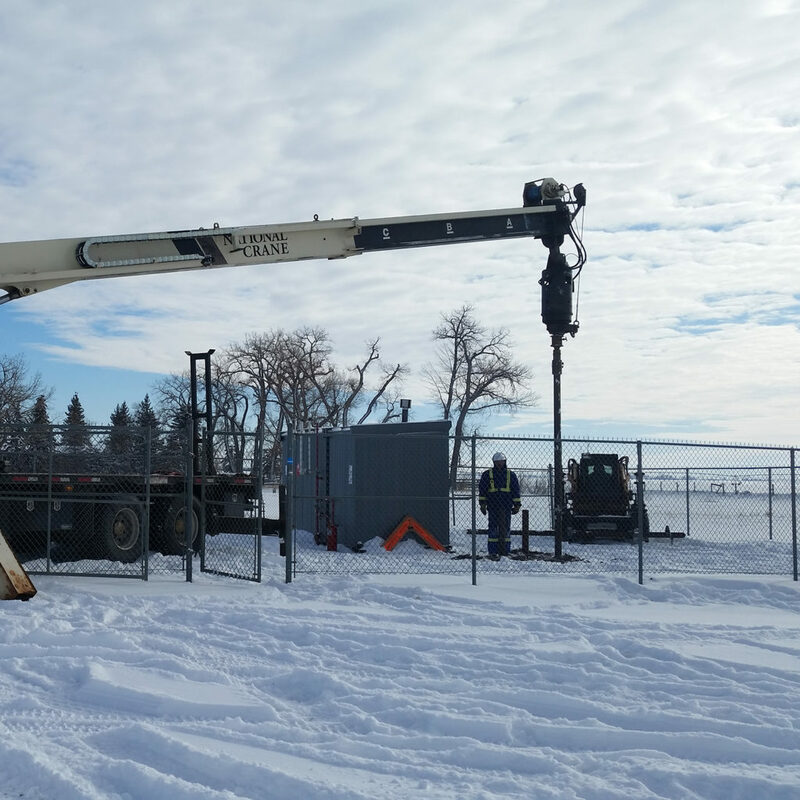 Our wide variety of install equipment ensures there is no space too small or too far away for your project's success. Onsite pre-job planning plays a vital role in developing effective project specific methodology. performance. Commercial foundation projects often require that customers and other businesses are not put at risk or disturbed during construction. Our Team understands the intricate balance of project efficiency and customer relationships. Our pre-construction coordination with GC’s helps your clients minimize business downtime. With long timelines, foundations for government and community projects require our team to plan for scopes of work that will be completed months and sometimes over a year from the time of contract. 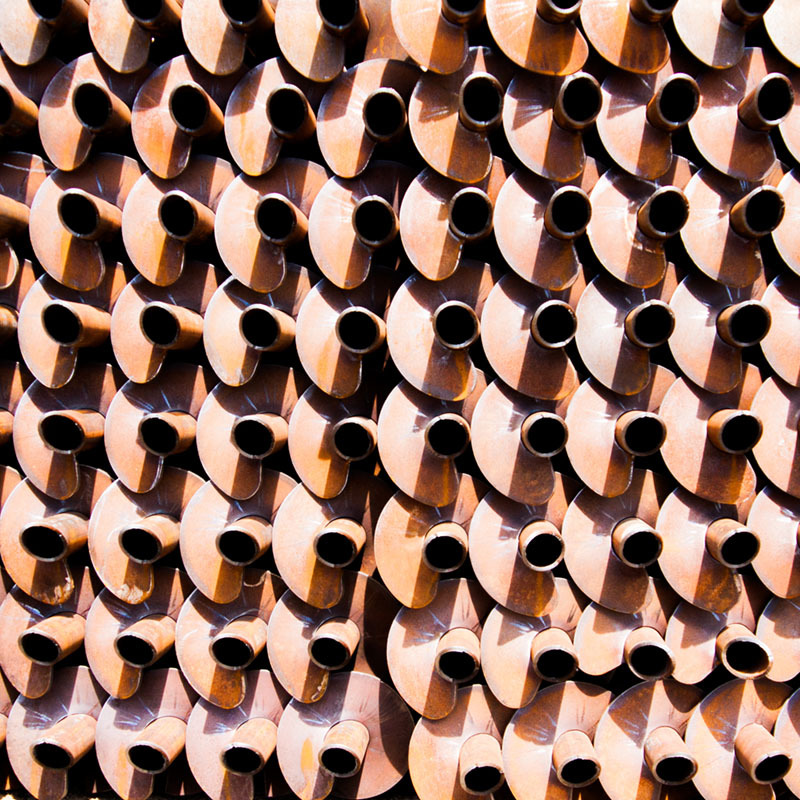 A large inventory of pipe and plate steel allows our team to control costs for projects with staggered and lengthy timelines. In extremely safety-sensitive environments like a High Voltage substation, experience and planning are irreplaceable. 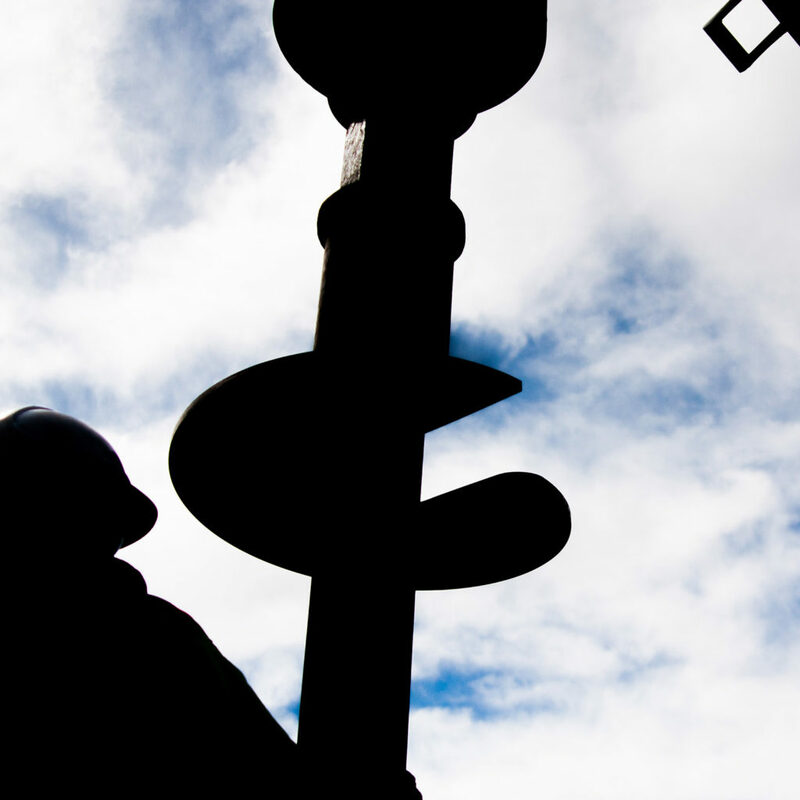 Our team has helped develop both time and space sensitive piling solutions in active substations allowing our clients to maintain their onsite efficiency without compromising safety. 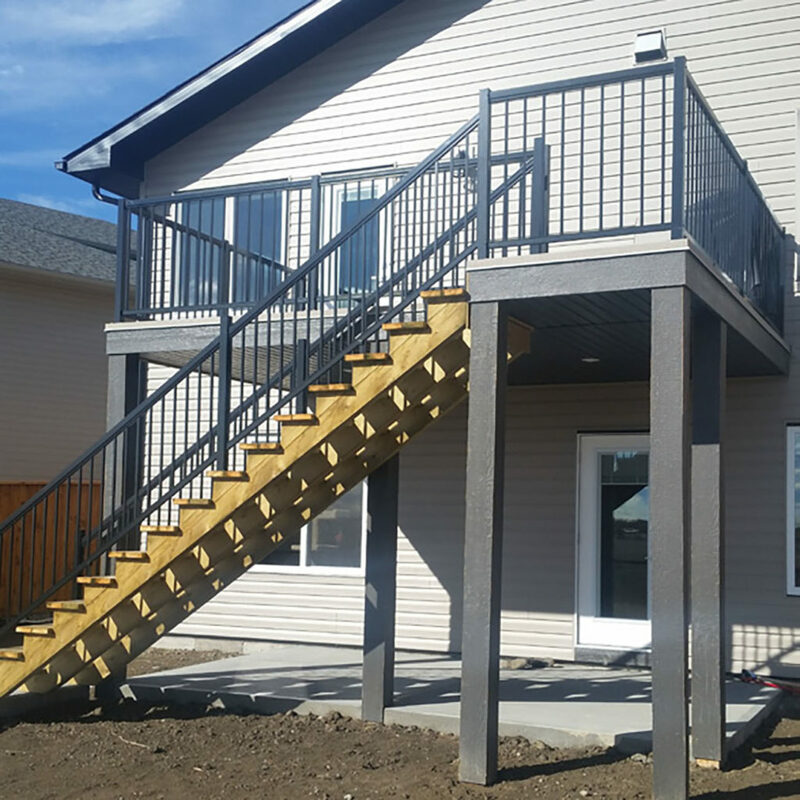 Are you thinking about adding a raised deck or porch to your home? Inland Residential screw piles are an ideal solution which is guaranteed for the lifetime of your home. 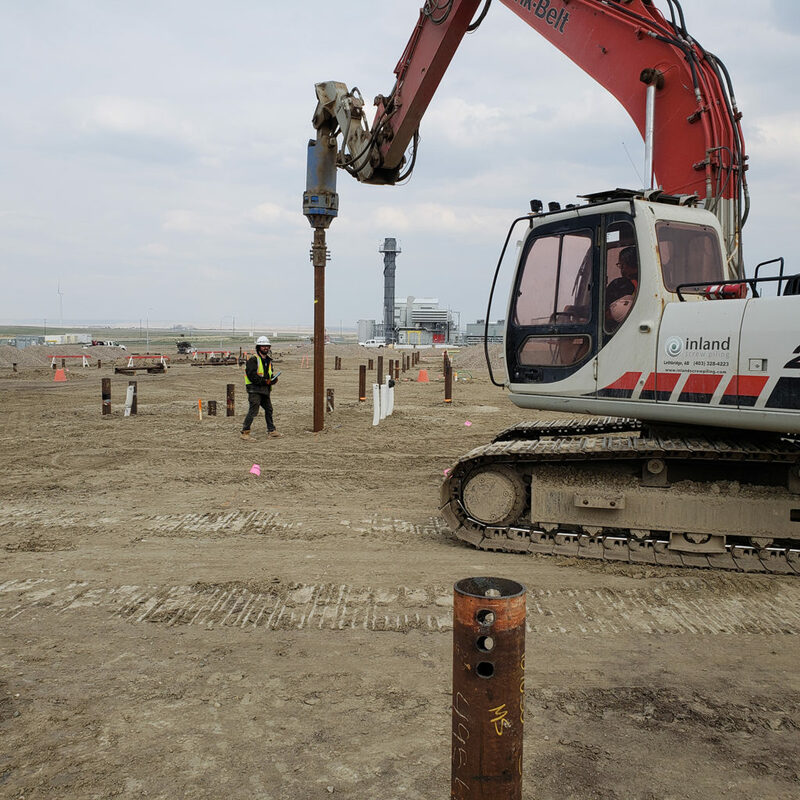 Each project is value engineered to provide you with suitably sized piles that meet the requirements of the Alberta Building Code. 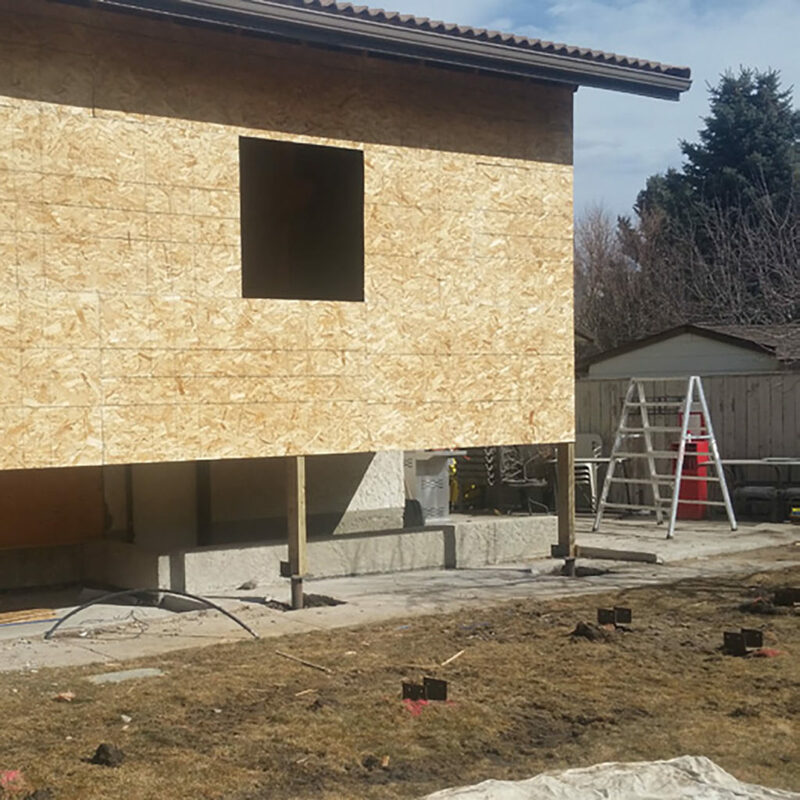 When designing your new home a piled foundation can be a good option if soils conditions aren’t ideal for traditional strip footings or for peace of mind. Inland will ensure your investment is on a sure foundation. If your Project consists of more than a deck, Inland is able to value engineer any size job. 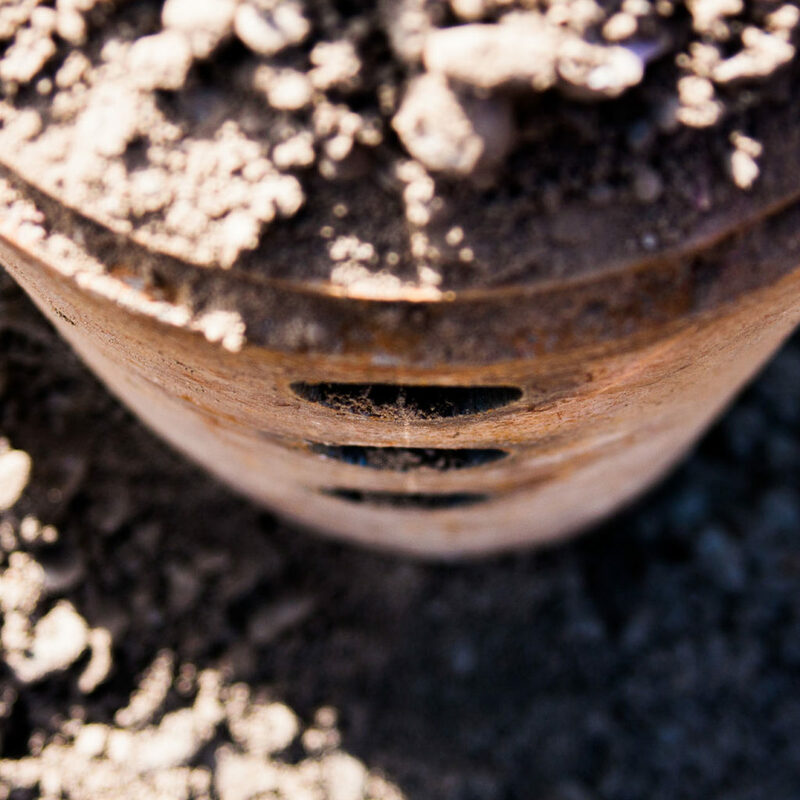 Whether you want to avoid disturbing your yard to excavate for footings or require a low disturbance foundation system to make your project feasible, Inland will create a solution for your unique demands. 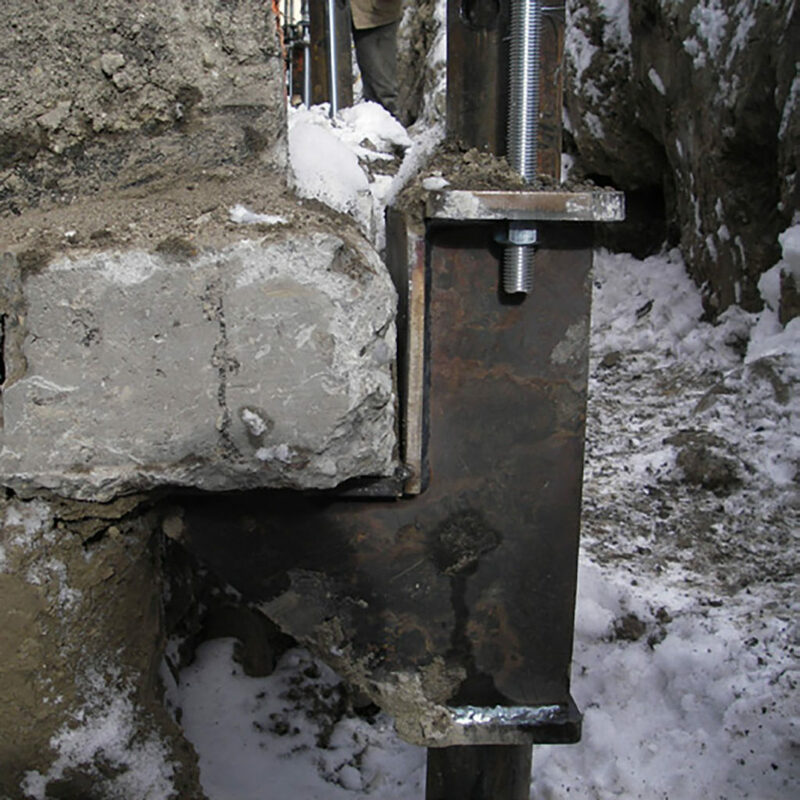 Inland has a long and successful track record of utilizing underpinning to strengthen and stabilize existing buildings. Our engineers accurately as- sess the problem and custom-design a solution that assures a lifetime of solid performance. Solar and renewable energy provides it's own unique challenges to the foundation aspects of each project. Most commercial renewables projects require quick delivery of large quantaties of piles and ancillary steel to maintain the sequential onsite production needed to complete the projects on time. 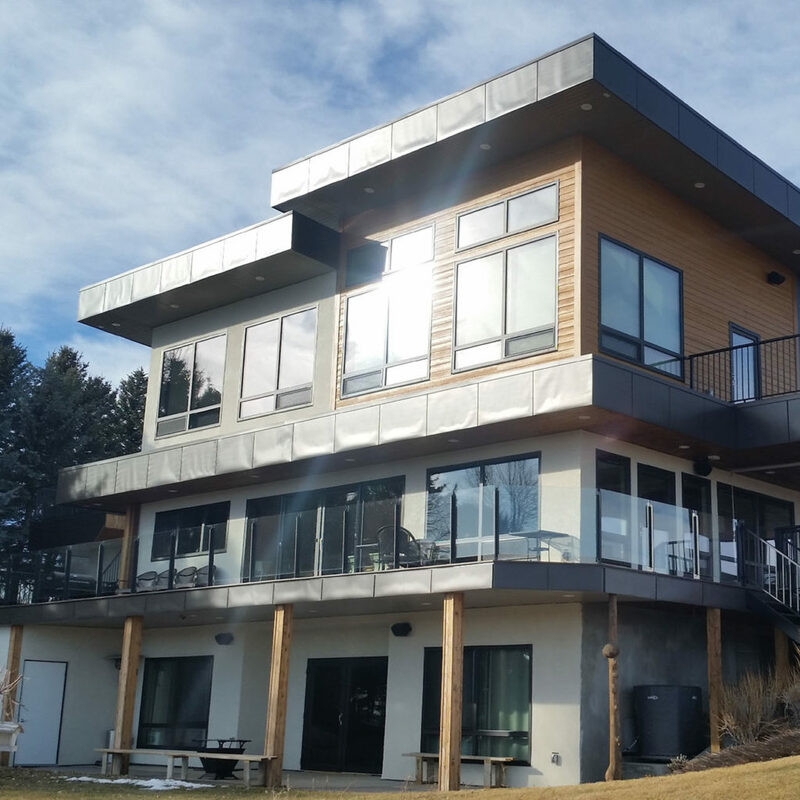 Inland is ideally situated in the largest solar resource hot spot in Canada, Southern Alberta. This allows us to respond to each site with minimal shipping times and cost. The experience that comes with serving a variety of different industry groups gives our Team a unique insight into what our client's potertial challenges my be. Our support and Site Services help to allevate multiple trades and scope of work overlaps that can result in project delays and cost overrun. With dedicated structural design, engineering and QA/QC support our Team effectively eliminates the need for most third parrty document control. Our on-site engineering support team can accurately assess changes to the scope of work as they arise and effectively keep your project moving forward. From design and testing on-site fabrication our team's approach to foundations will get your project out of the ground on budget and on time. Inland's attention to detail sets us apart from the competition. Delivering on the highest efficiency's and quality control is what our clients depend on. When your project's requirments are pre-determined Inland has a wide variety of foundation and piling accessories for our clients in the utilities, municipal developement, and residential markets. 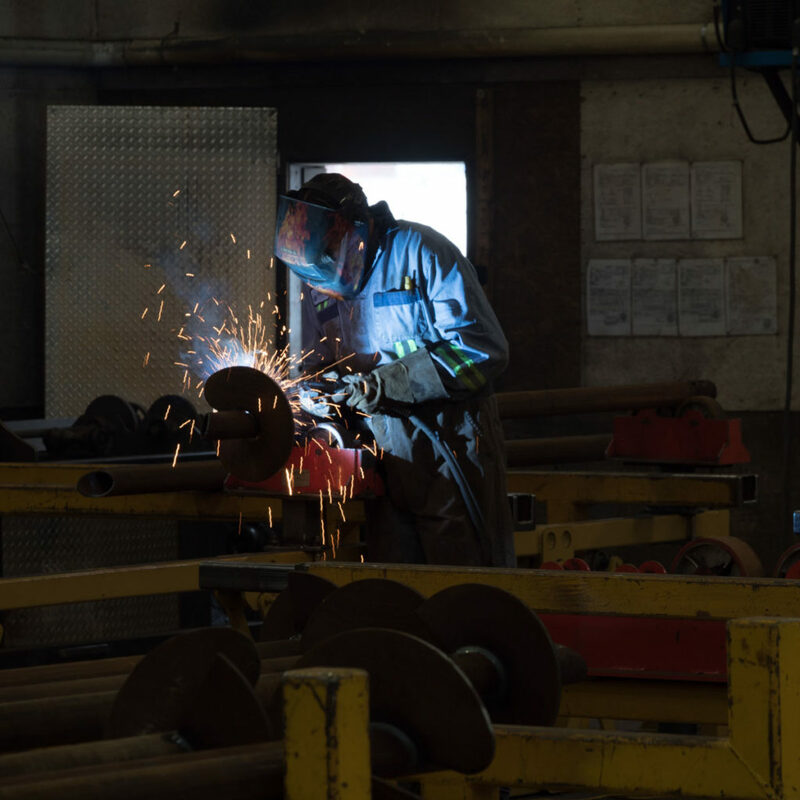 With over 15,000 sq/ft of interior fabrication space, we can handle any bulk purchase of piling and ancillary steel foundation material. 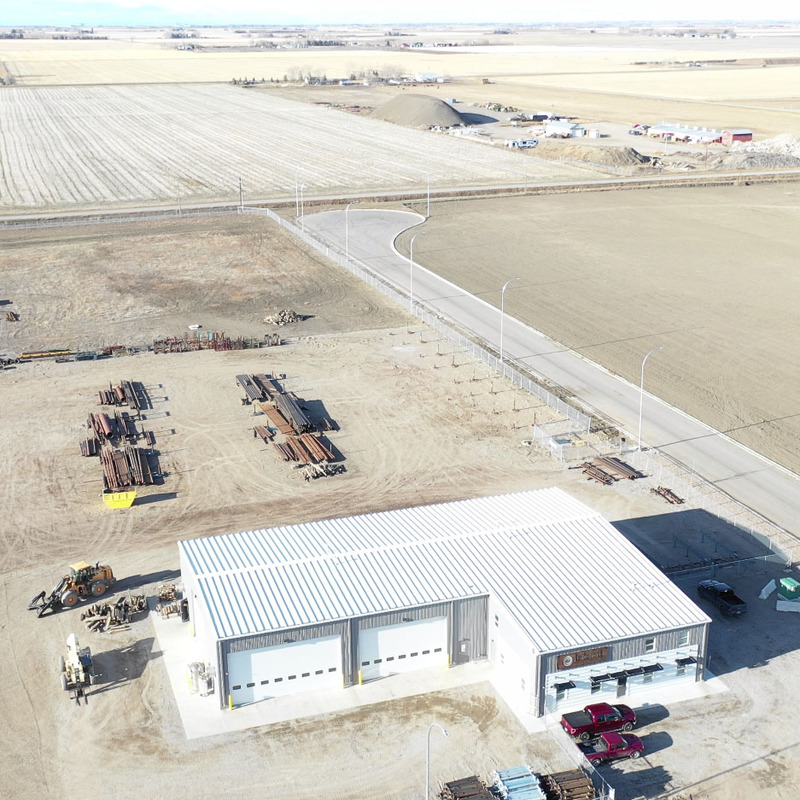 Sitting on over 10 acres of industrial space we can both keep large quantities of material and completed projects on hand to ensure our client's timelines are met. Pressed to form a true pitch flighting. Our Helix contains a beveled leading edge. Cuts through frozen and hard soils with less slippage. High definition cut for exact fit-up, resulting in excellent weld quality.